Who came up with the first theory of atoms and when? 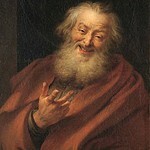 The first person to come up with a theory for atoms was a Greek philosopher named Democritus. He discovered this theory in 460 B.C. about 2,500 years ago. He proposed that the universe was made up of tiny invisible units called atoms. For example, if you took an apple and cut it in half and kept cutting it until you could no longer cut it, you would have the smallest apple particle there could be! But there was no experimental evidence for Democritus's theory. What did John Dalton add to the atomic theory? 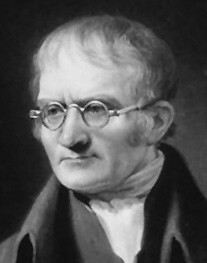 John Dalton an english school teacher added a large portion of information about atoms to the Atomic Theory. He built onto the previous theory and stated that all atoms of a given element were identical. He also stated that two or more different given elements could join together to create a compound. Why was Dalton’s theory more successful than the previous theory? Dalton's theory was more successful than the previous theory because he provided real evidence with everything he proposed. He did experiments to prove/back up what he was stating or in other words he based everything off experimental evidence. 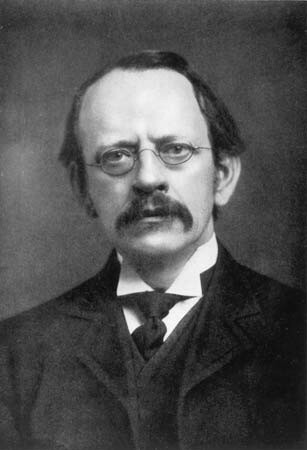 How did J.J. Thomson discover the electron? Thomson discovered the electron by conducting an experiment on electricity and studying cathode rays, which are rays in a vacuum tube. During this experiment he suggested the rays were made up of negatively charged particles that were coming from inside the atoms. This showed that atoms could be divided into even smaller parts. He then did an experiment called the plum-pudding model. He placed two metal plates at the ends of the vacuum. These plates are called the cathode and anode. The cathode is negatively charged and the anode is positively charged. Applying a voltage across the plates resulted in a glowing beam, hitting the anode to the cathode. Thomson knew this beam came from the cathode and anode because the vacuum was airless. The way of the deflection showed that the beam was made of a negative charge coming from the cathode. 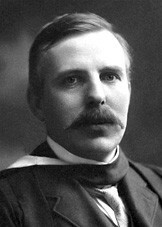 This is when Thomson discovered electrons, negatively charged particles. What is Rutherford’s atomic model? How did he arrive at this model? Rutherford's atomic model shows the electrons orbiting the nucleus. The positively charged nucleus is in the center and the negatively charged electrons path is around the nucleus. He arrived at this model by looking at Thomson's model and had a feeling it needed to be revised. Rutherford then did an experiment with thin gold foil. He found out that most particles went straight through the foil, some particles were deflected by a large amount, and others even bounced straight back at him. From this experiment he made a model that showed the dense core and electrons circling around it. The background of this project is cupcakes . Even though it looks like it has nothing to do with science, it does! Everything is made up of matter and atoms, including the cupcakes!